If you have a hankering for a fishing holiday, there are few places in the United States with as wide array of fishing options as Florida, and additionally, Key West fishing is some of the most exciting in the world. The International Game Fish Association, on several occasions, has confirmed that there are more saltwater world records broken in the Florida Keys than anywhere else on earth! With that in mind, Key West fishing promises to be an anglers dream, and if you've always dreamt of catching the big one, come to Key West to make it happen! Key West may be well known for its record breaking catches, but it also offers up a number of options, making it an ideal location for novice, intermediate and expert anglers from around the world to fish the way they please so whether you're holding a reel for the first time, or it's old hat, here are 5 ways to snag a great catch! 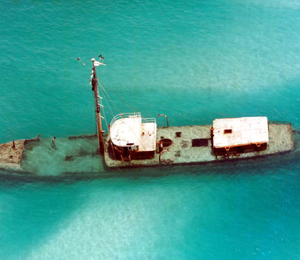 It is no big secret that the Florida Keys have long been known throughout history for stealing mighty ships from the high seas. Thankfully, wrecks are a thing of the past, but the ghosts of what lurks beneath the surface make for fabulous fishing locales. An abundance of amberberjacks, permit, snapper and grouper, congregate around the wrecks all season long. Unlike many many of the waterways in the United States which are man made, in the Florida Keys, most of them are natural. Though few of them have been dredged by both the shipping industry and U.S. Navy. These are ideal locations to pull up your boat, drop anchor and enjoy a little peace and fishing. Various species can be found in these spots including cobia, permit and tarpon. The coral formations around Key West are some of the healthiest not only off the coast of the continental United States, but around the world. Everything thrives here, because the reefs act as a shield against storms, it is a haven for bottom fish like snapper and grouper. The Gulf side of the reef is home to several species of schooling fish such as mackerel and yellowtail snapper. 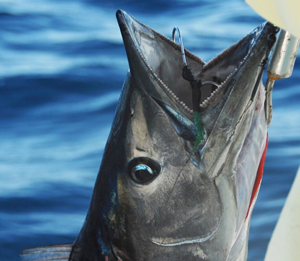 If you play your cards right, you may even reel in an impressive kingfish or barracuda. Not everyone wants to spend the afternoon bobbing around the high seas on a boat. The Florida Keys are rife with beautiful historic bridges, and Ernest Hemingway loved to spend the afternoon perched on a bridge, dreaming up his next literary masterpiece with the fish nibbling at his line. Long Key Bridge, the Toms Harbor Bridges and the west end of the Old Seven Mile Bridge are great places to pack a lunch, slap on some sunscreen, and let the day take you away. For the more ambitious, taking advantage of the bordered geography of the Florida Keys means a big pay off. While the Gulf of Mexico and the Straits of Florida provide the ultimate environment for healthy reefs, the water also plunges to a whopping 1,500 feet or more, meaning a more varied array of fish species than any other type of Key West fishing. White marlin, sailfish, spearfish, kingfish, dolphin, wahoo, tuna, barracuda, grouper and jacks are just a sampling of what you might find at the end of your reel. There may be 101 reasons to come to Key West, but for the avid angler, Key West Fishing is reason enough to pack your bags and enjoy sun, surf and the thrill of the breaking one of those world records! 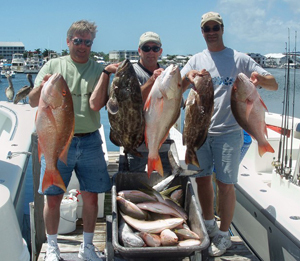 For more information on a Key West Fishing Charter, Call 877-885-5397 today!